If the liftgate on your 2005* to 2010 Jeep Grand Cherokee no longer stays up, fix it with this set of two liftgate supports. These liftgate struts can be used on both sides, although previously left and right side struts had different part numbers. Just reverse the end fitting on one rod for the left side. Instructions are included. 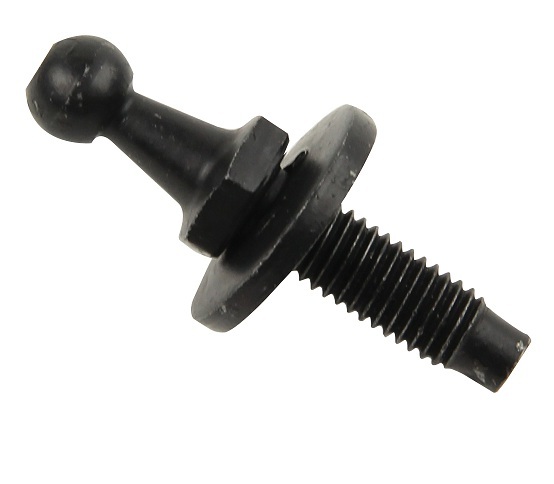 *For ALL 2005 to 2007 Grand Cherokee WK models, you must also order a set of new mounting ball studs, four in total. See Accessories tab above. Extremely pleased with purchase, easy to install after removing existing original struts. Liftgate opens much easier now, with less effort required. Now easy to open and closes slowly, a relief to not worry about it falling on me when putting groceries in the back. Lift easy to open and closes slowly, like it should . Easy to install. The work really well. The only hang up is getting the to collapse about 1/2 inch so they can be installed. Used the back lift gate, but next time I will think about a ratchet strap to collapse them. found the exact part I needed and it was very easy to install myself. I ordered the parts and they fit perfectly. Easy to install in less than 15 minutes. Factory fit.Works great.Exact oem.Would buy again. They install in minutes and they work really good. The lift gate practicaly lifts it self now. Ok, first off you'll need to purchase new ball studs (4 come in one pack) separately as these new lift struts attach differently than the old ones. The ball studs ate mentioned in the description for the lift struts. After you screw in the new ball studs, these lift struts literally click into place! Check to make sure you have the lift strut positioned correctly with the arm pushing down. If you do click it in place wrong its easy to take it off by removing the retain clip with a screw driver to release it. These lift struts work great! No more getting banged in the head while loading stuff! Fast delivery, great service, and an easy install! ProsClick into place easily Easy to remove if you happen to install backwards Strong, work great! ConsJust make sure you also purchase the ball studs separately, they're not expensive but should come included. This came to me in 2 business days and was SUPER EASY to replace!! Took 10 minutes! Cargo door works like a charm! Had to buy the anchors for each end because they changed the design in '07 and had a little trouble getting the lift gate open far enough for the installation but no problems and they work great, better than new. 2006 Grand Cherokee liftgate failed to open. These new struts (attached to the body with the 4 strut studs available here) are very strong and the liftgate now opens even in cold weather. These have Mopar written on them. So completely simple to do myself and worked perfectly! My liftgate was to the point of zero help opening and would not stay up without holding it open....... so heavy!! Now pop the latch and swoosh up it goes!! Fabulous product and great price! Fast shipping too! I am so pleased that these worked perfectly for my 2008 Grand Cherokee. My husband installed them in minutes. I have read this costs up to $200 to replace the dealership and was so happy we could DIY instead. Five minute job, struts pop right onto the new ball joints and off ya go! I will shop with you again and refer you to fellow Jeepers. Perhaps my old struts were failing for longer than I realized but when we replaced them with new WK Liftgate Support Struts from justforjeeps.com, I was stunned at how quickly and powerfully the liftgate now opens ~ almost by itself ! Could the replacement struts be stronger than the originals ?? Preparatory to the liftgate surgery, I researched blogs and videos about how-to replace the struts. A couple of posts warned that many after-market replacements were a fraction of an inch longer than the originals, and necessitated being creative when installing new ones. One remedy mentioned loosening ~ but not removing ~ the liftgate itself, to allow for a little more wiggle room. This worked !! However, it was a step I wish we did not need to take; this is the only negative Ill mention in the review. Easy to install, perfect operation, smooth opening and closing. ProsSure beats the dealer cost of replacing the item. Unscrew the old struts, screw in the new liftagte supports, and snap on the new struts. The whole project took 5 minutes! Works great! These are the REAL Chrysler parts and if you insist on factory parts you will not go too far wrong. Have you ever had parts shipped to you that were "equivalent" (translation: crap made in China)? I have and I get really pissed off. When Just fro Jeeps advertises "Authentic Mopar" that is what you get. I'm now a customer for as long as I have my Jeep. ProsReal Mopar parts for less, just like they advertise. 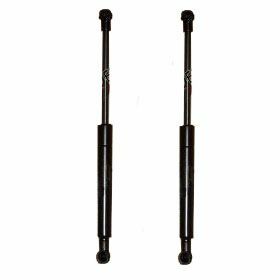 I purchased a pair of WK Liftgate Struts and they are very easy to install. Just be sure to firmly support your tailgate when doing the job. I used a sturdy stepladder. The liftgate gas struts arrived a day early. I propped the tail gate of my wife's 2007 GC Limited with a short length of plastic pipe as wide open as it would go without bending things. Used a rag and a miniature prybar to pop the lower ball mount off. Top just levered off. The new strut snapped on with a palm slap as did the top. Did not bother to replace the other side and kept the second strut as a spare. It was not necessary to replace the ball mounts. . .
ProsExcellent price, right part and it fit first time. This product was just what I needed. In the winter the old liftgate would not stay up. There was a question of whether it would fit but I reached Just for Jeeps and got a quick answer. The Items arrived very quickly and I was able to replace the old ones in less than an hour. (There is a Torx type screw on the old ones but I had a tool which worked. It is surprising how easy the struts were to install. ProsRemoval of old struts was easy and intuitive. fairly easy to install. remember to grease studs before installing. makes arms easier to slip over studs. This is a great replacement. My original supports were not even holding the lift gate up, and these new ones do an amazing job.